Just trying to balance off the beefy diet with some healthy greens. 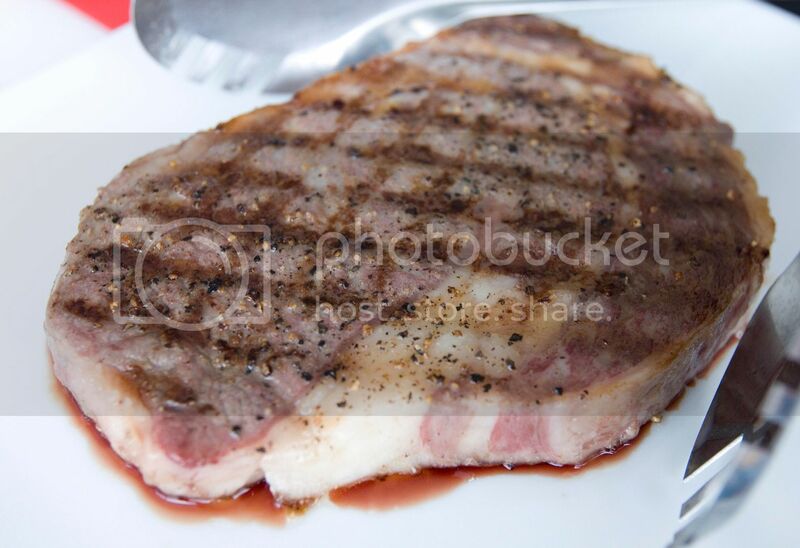 Remove the steak from the fridge and let it stand in room temperature for about 10 minutes before cooking. Season both sides with salt and pepper. Brush a thin layer of olive oil to a grill pan and turn to medium high heat. Once the pan gets hot, transfer the steak over. Do not move it once set down to the grill till about 30 seconds later, otherwise the meat might stick onto the grill. However, there's no need to touch the steak until its ready to be flipped. Sear for about 2 minutes on each side, the exact time varies depending on the thickness of the steak and how rare you'd like it to be. Medium to medium rare are good for this salad recipe. Let the steak rest for about 10 minutes before slicing. While waiting, let's get the remaining ingredients ready. Take a small non-stick pan and turn to medium high heat. Add in the walnut and toast till the nutty aroma comes out. Drizzle a little honey over the walnuts. The walnuts might stick to each other once cool down but just separate them by hand when plating. In a container, mix together about one spoonful of balsamic vinegar, small pinch of sea salt, small pinch of freshly ground black pepper, and some extra virgin olive oil. The olive oil should be a little more than the balsamic vinegar. Shake or mix well, this will be the salad dressing. Take a big bowl and toss the arugula with enough salad dressing. Plate the seasoned arugula to a big serving plate. Arrange some honey toasted walnuts, shaved Parmesan, and dried cranberries throughout. 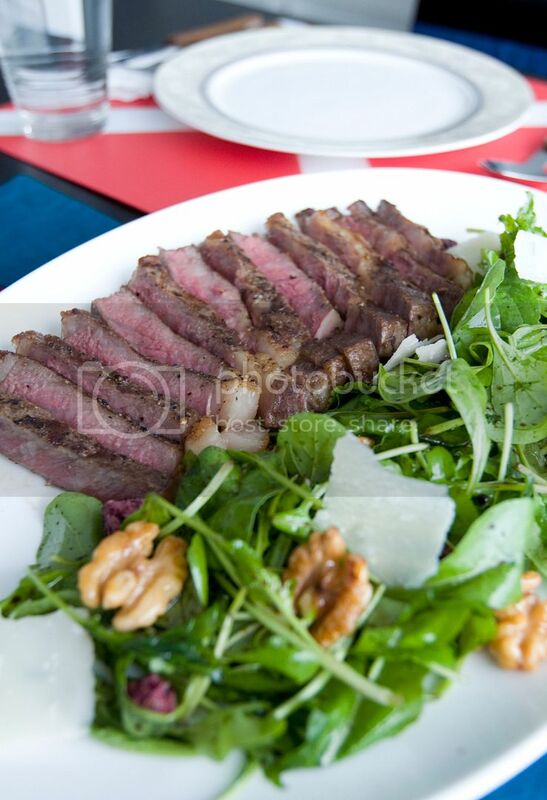 Lastly, transfer sliced steak next to the salad. 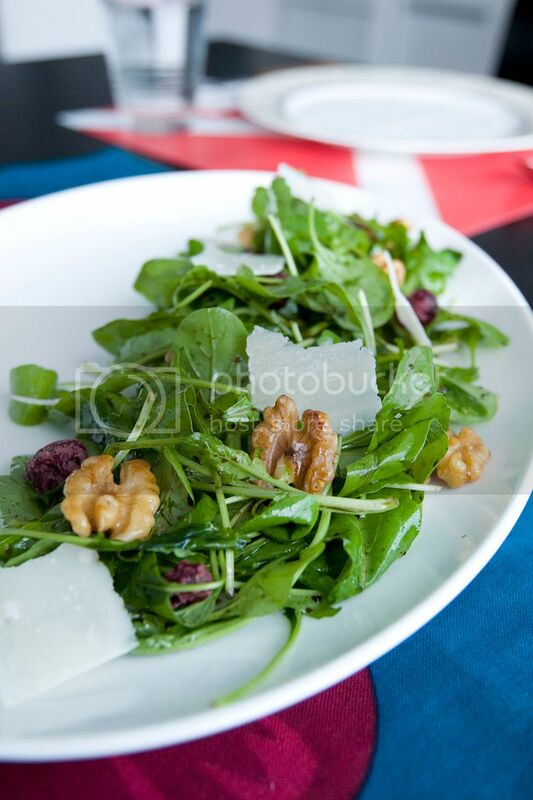 You can substitute the arugula with other types of salad greens. 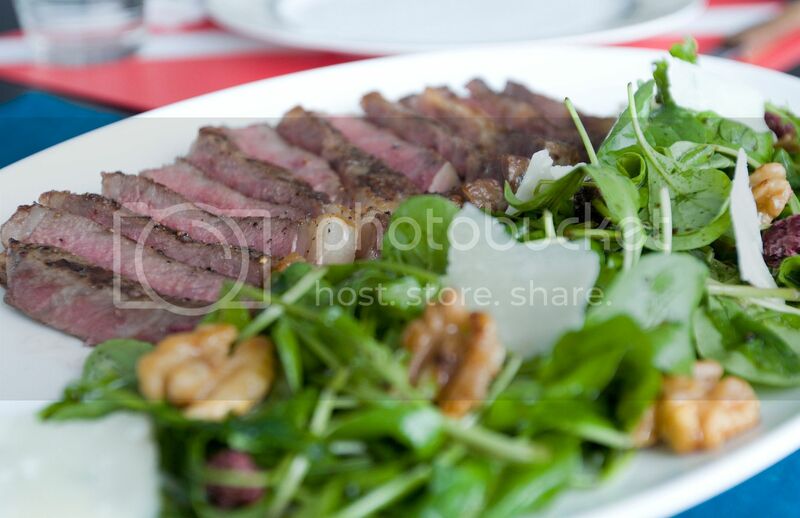 However, for such headstrong beefy steak, I think the peppery arugula pairs the best.